Everytown Sweet is an adorable puzzle game with hundreds of fun and exciting levels to challenge your puzzle solving skills! Win levels and collect gold medals to help rebuild the beautiful Everytown. Set on this sweet puzzle adventure and travel wondrous places with dozens of cute Everytown characters! New levels every two weeks! Match three or more cute jelly-like animal blocks to solve missions and clear levels! Each stage includes different missions - release trapped Penguin Builders, find materials hidden in ice, look for blueprints under layers of plasma and more! Combine four or more animals to make special power blocks, start a chain reaction and see your score grow! Evil Dr. Oh and his Wild Boars have completely destroyed beautiful Everytown! Only you can help rebuild it! Solve missions and collect gold medals to restore wonderful buildings and get awesome rewards!! Take up the challenge and help restore Everytown to its former glory! How will the Town look like? 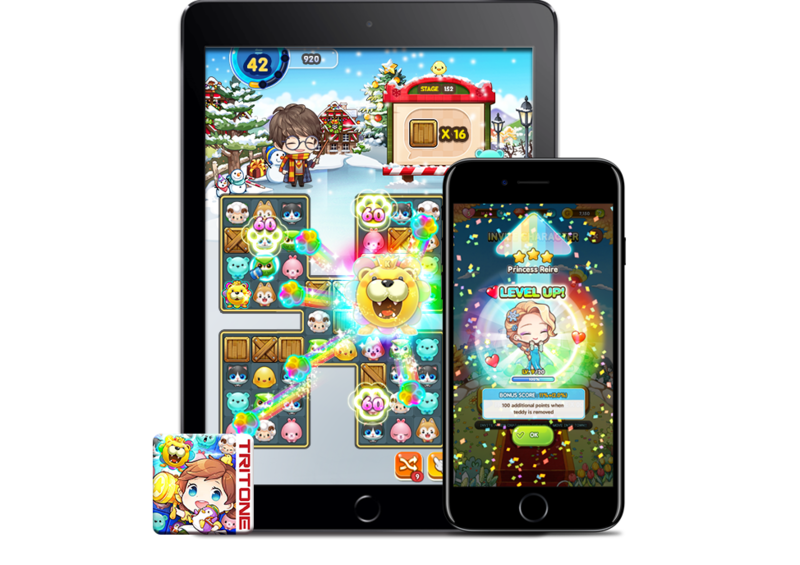 More than 40 different characters to collect, each with special powers to help you get higher scores and progress faster! Get character puzzle pieces for restoring buildings and enlarge your collection! Invite new characters to join you on this sweet puzzle adventure and clear levels to beat evil Dr.Oh!